Now you can literally assemble the Justice League! The Justice League Superman Bust 3-D Puzzle is a fun brain teaser. 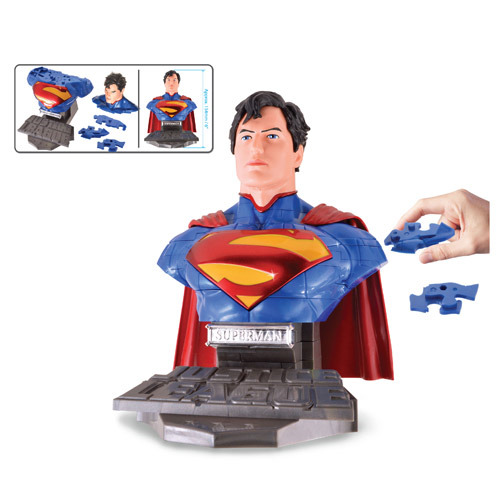 Once fully assembled, this puzzle becomes an awesome 6-inch bust of Superman! This puzzle would go great with the other Justice League bust 3D puzzles! 72 pieces. Ages 8 and up.